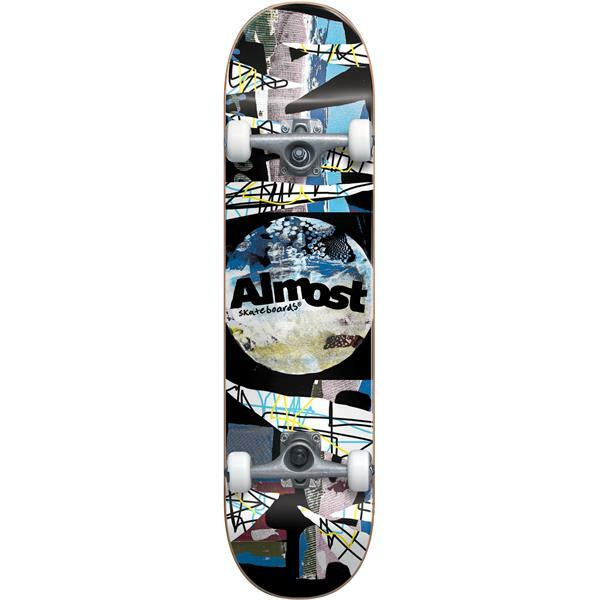 Update your skate set-up with the Distressed Skateboard Complete from Almost. This standard-sized skateboard features a funky collage design that looks as good as it rides. Made from durable maple wood, this board has just the right balance of strength to withstand impact and flex to improve control. Strong alloy trucks support ABEC 5 bearings and wheels for a smooth ride at all times. Whether you're riding street or vert, this complete skateboard from Almost will have you tearing up the pavement all summer long.